One of the big differences between Hurricane Sandy and Hurricane Harvey was the level of cellphone service customers were able to access during the storms. The numbers: "25% of cell sites were down during Sandy compared to 5% down during Harvey," CTIA chief Meredith Attwell Baker said in an interview. "That's a significant resiliency improvement." One company's response: T-Mobile COO Mike Sievert said that the company knows just how important cell phones are to its customers during a disaster and does everything it can — from hardening its network gear, to offering free service in the wake of disasters or delivering free phones to those whose phones are lost or damaged. "It really matters to (customers) whether you can keep that service going," Baker said. "By and large we did." Calling 911: Cell phones are critical for summoning help. An estimated 240 million 911 calls are made in the U.S. each year and in many areas 80% of calls come from wireless devices. Power up: One of the big advantages with Harvey was the fact that, by and large, the power grid stayed up, lessening the need for cell towers to rely on generators. Preparing for Irma: It looks like the damage could be worse from Irma, Sievert said. Baker told Axios' Kim Hart that the industry is learning with each disaster. Early warning system: Baker also defends the wireless emergency alert system, which has been around since 2012 and warns customers ahead of floods and other potential threats. "Can they be better? Absolutely. And we'll continue to work with state and federal authorities on this to make them better and enhance them." Improvements needed: One of the key wireless alert limitations is the ability to offer targeted, block-by-block warnings. Technology will continue to improve to allow for more granular targeting, Baker said. Other upgrades: Carriers have improved network resiliency in the past decade by making sure equipment can withstand extreme weather and adding more robust battery backup in case of a power outage, according to Mike Jones of Burbank-based Advanced RF Technologies. 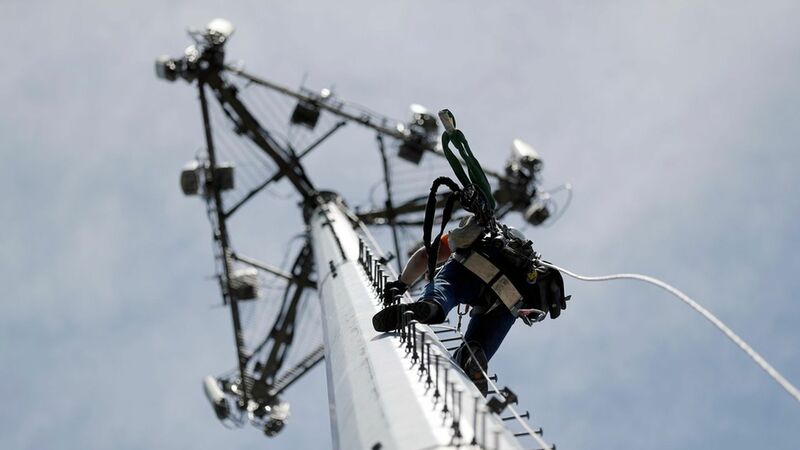 The company provides signal repeaters to extend wireless signals to fill coverage gaps.